As the release of Kanye West's Yeezus gets ever closer, the elusive rapper has made the surprise move of emerging with his first interview in years. In a newly published piece by the New York Times, Yeezy spoke with Jon Caramanica at Malibu's Shangri-la Studio earlier this month, opening up about his past work, his influences, Yeezus, old controversies and a whole lot else. Speaking of Yeezus and working on the album with Rick Rubin, who served as executive producer, Kanye said, "For [Rubin], it's really just inside of him. I'm still just a kid learning about minimalism, and he's a master of it. It's just really such a blessing, to be able to work with him. I want to say that after working with Rick, it humbled me to realize why I hadn't — even though I produced Watch the Throne; even though I produced Dark Fantasy — why I hadn't won Album of the Year yet. "This album is moments that I haven't done before, like just my voice and drums. What people call a rant — but put it next to just a drumbeat, and it cuts to the level of, like, Run-D.M.C. or KRS-One. The last record I can remember — and I'm going to name records that you'll think are cheesy — but like, J-Kwon, 'Tipsy.' People would think that's like a lower-quality, less intellectual form of hip-hop, but that's always my No. 1. There's no opera sounds on this new album, you know what I mean? It's just like, super low-bit. I'm still, like, slightly a snob, but I completely removed my snob heaven songs; I just removed them altogether." Kanye also went on to explain some of the influences on Yeezus, stating, "It's like trap and drill and house. I knew that I wanted to have a deep Chicago influence on this album, and I would listen to like, old Chicago house. I think that even 'Black Skinhead' could border on house, 'On Sight' sounds like acid house, and then 'I Am a God' obviously sounds, like, super house." While a chunk of the interview does focus on Yeezus, Kanye shed some light on 2010's My Beautiful Dark Twisted Fantasy as well. He said he had "no regrets" over the infamous Taylor Swift incident at the 2009 MTV Video Music Awards, but added, Dark Fantasy was "my long, backhanded apology. You know how people give a backhanded compliment? It was a backhanded apology. It was like, all these raps, all these sonic acrobatics. I was like: 'Let me show you guys what I can do, and please accept me back. You want to have me on your shelves.'" In addition, Kanye talked about his cultural impact and even compared himself to fallen Apple mogul Steve Jobs. 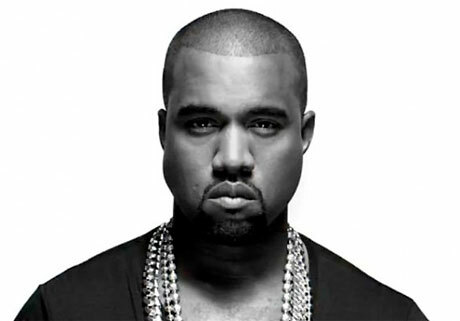 "I think what Kanye West is going to mean is something similar to what Steve Jobs means. I am undoubtedly, you know, Steve of Internet, downtown, fashion, culture. Period. By a long jump. I honestly feel that because Steve has passed, you know, it's like when Biggie passed and Jay-Z was allowed to become Jay-Z. "I've been connected to the most culturally important albums of the past four years, the most influential artists of the past ten years. You have like, Steve Jobs, Walt Disney, Henry Ford, Howard Hughes, Nicolas Ghesquière, Anna Wintour, David Stern. "I think that's a responsibility that I have, to push possibilities, to show people: 'This is the level that things could be at.' So when you get something that has the name Kanye West on it, it's supposed to be pushing the furthest possibilities. I will be the leader of a company that ends up being worth billions of dollars, because I got the answers. I understand culture. I am the nucleus." The interview contains a lot more than that, and you can read it all over here. As previously reported, Yeezus arrives on June 18 via G.O.O.D. Music/Def Jam.